ApexNetwork has hired on Kristen Zaporowski, PT, DPT as the Clinic Manager at the new Vail clinic. Kristen graduated from Pacific University in May of 2014. She is an experienced therapist in Outpatient, Sports and Orthopedic Rehab. Kristen is also trained in Kinesio Tape, Myofascial Release, Instrument Assisted Soft Tissue Mobilization and Pelvic Health. 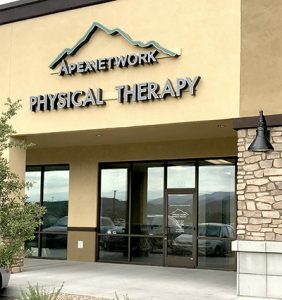 ApexNetwork Physical Therapy strives to provide an experience of health & wellness, encouragement and quality service in an upscale environment. The Vail clinic will offer a full spectrum of services including physical therapy, sports rehabilitation, industrial rehabilitation, manual therapy and vestibular rehabilitation.